Roughly one-third of our garbage consists of vegetable -, fruit- and garden waste. Using a Worm Bucket we can process all this organic material at home in our garden. The compost worms in this bucket will turnthis organic waste into healthy and fertile compost. This worm compost has been called ‘the black gold’ because it’s so valuable and fertile for plants. 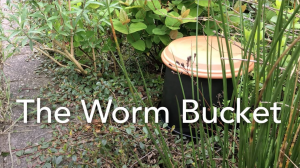 The Worm Bucket can be placed in your garden, in a border, between flowers or perennial plants, in a raised bed, a planter or a vegetable garden. This video is Dutch spoken with English subtitles. Hi, I’m Jessinda and today I’ll show you a Worm Bucket. See, this is a Worm Bucket. It has got a lid, and it’s a bucket with the bottom removed. 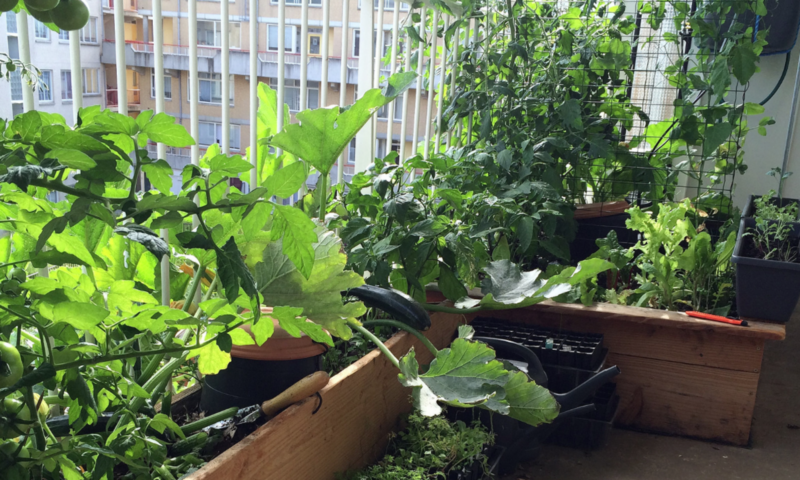 or in raised planters like on this balcony. The Worm Bucket contains special compost worms. You feed these compostworm your fruit- and vegetable waste from your kitchen and small bits of garden waste. The compost worms will eat it all, so they poo at lot. This poo is called wormcompost. The main advantage of the Worm Bucket is that all this poo is directly absorbed in the soil. Underneath the Worm Bucket you’ll find many earthworms, sowbugs and other small insects and soil organisms. These all help with processing and spreading the wormcompost. One Worm Bucket can feed a whole planter with fertile wormcompost. Roughly once a week you fill the Worm Bucket with fruit-, vegetable- and garden waste. That’s it. And if you fill it to the top, you could easily leave for a three weeks of holiday. The worms will be fine. Wormcompost is an excellent fertilizer and soil amendment. and ensures an abundant yield. Plenty of reasons to regulary add wormcompost to your plants!